The Hatch Valley Public Schools district covers an area of 1,125 square miles and is the 42nd largest district in land area of the 89 school districts in New Mexico. HVPS is located in Doña Ana County in the south-central area of the state. 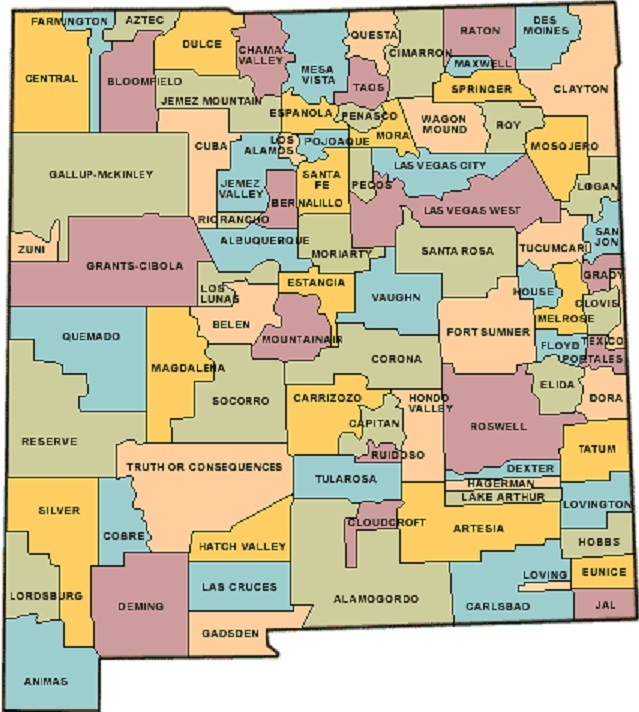 Bordering Districts include Las Cruces, Deming, Truth or Consequences, Tularosa, and Alamogordo. The district’s schools are all located in the village of Hatch, except one elementary school, which is located in the community of Garfield, which is approximately 9.4 miles north of Hatch on State Highway 187 (also known as the historic El Camino Real). The village of Hatch is at 4,050 feet in elevation, has an annual rainfall of 7.4” and promotes itself as the "Chile Capital of the World," for growing a wide variety of peppers, especially the New Mexican cuisine staple, and one of New Mexico's state vegetables, the New Mexico Chile. Hatch, was originally settled as Santa Barbara in 1851. However, Apache raids drove the farmers away until 1853 when the nearby Fort Thorn was established. When Fort Thorn closed in 1859, the town was abandoned again in 1860. It was not until 1875 that it was re-occupied and at that time, it was renamed for Indian fighter Edward Hatch, who was then commander of the military District of New Mexico.